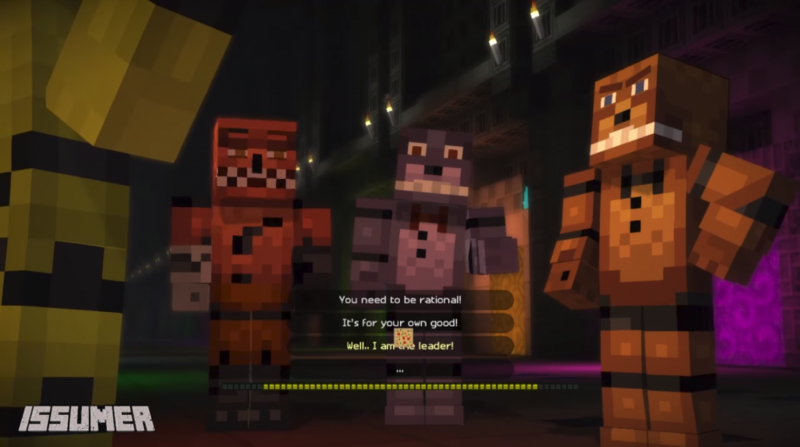 Surely you’ve already heard about one of the most popular horror stories in the world of Minecraft, which is a map of “Five Nights with Freddie”. The meaning of it is that the main character will watch you for the first three nights, until he learns your manner of play, and then it will not be difficult for him to attack you at the most inopportune moment. Thus, turning into this hero, you can very well scare your friends and have fun. Be sure to try Skin Freddy Fazbear from FNAF for Minecraft PE, for sure you will like this character and from time to time you will reincarnate in it. 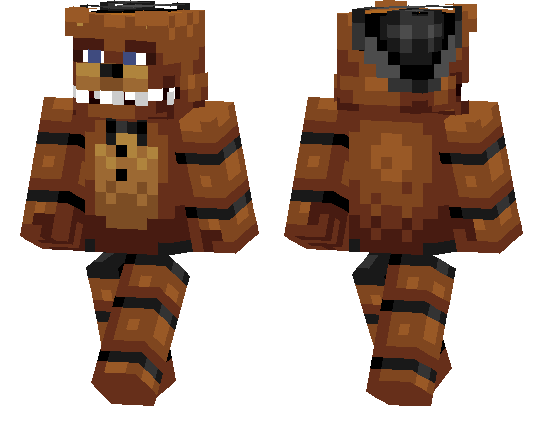 Already now you can download the Freddy Fazbear skin from FNAF for Minecraft PE and try this image on yourself!